Inspired by the ideas of global democracy and world federalism? Keen to share these ideas with your friends and colleagues? Then contact us to host an event. We can send a speaker or group discussion facilitator to most parts of the country. 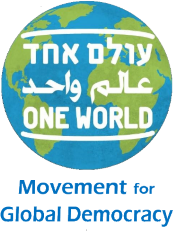 Please contact us at oded@oneworld.network to discuss this further.